Open this Presidents’ Weekend in Phoenicia! Vintage vintage vintage! We’ll Be Open this Presidents’ Day Weekend! Tons of Estate-Fresh Vintage – first peek! (Then we go back to hibernating until spring). 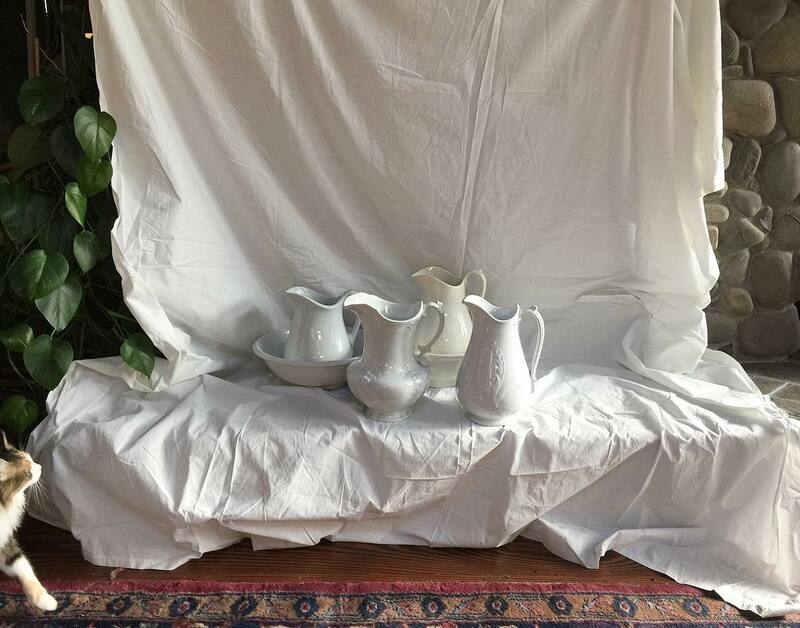 Enter stage right…an admirer checks out our collection of vintage and antique white ironstone china pitchers and basins headed Spotwards this holiday weekend. 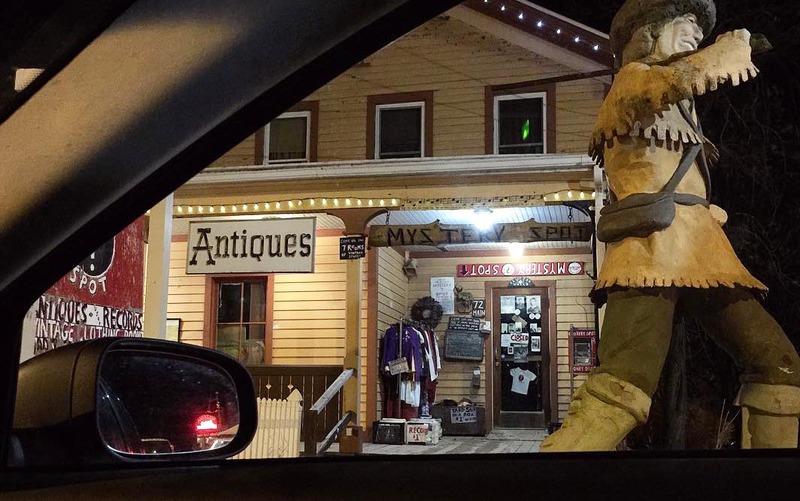 If it’s Presidents’ Day Weekend, that means Mystery Spot Antiques in beautiful Phoenicia, NY in the heart of the Catskills will briefly awaken from its winter hibernation to open its doors. We’ve been busy this winter sorting, cleaning and bringing in carloads of recent estate finds. Due to our hibernation, no one has seen them yet! (Save a few sneak peeks on Instagram/Facebook). THIS IS THE WEEKEND! Vintage clothing (warm and cozy men’s and women’s winter coats and jackets, all manner of dresses, shirts and skirts, vintage t-shirts, and piles of vintage baby/toddler/girl dresses and rompers), vintage quilts and afghans, vinyl records, Rusticalia, ephemera, vintage Christmas decorations (better late than never! ), antiques… seven rooms packed to the rafters. Each and every item is individually selected by us, in compliance with our rigorous set of aesthetic standards. And there will be more coming in every day this holiday weekend! If you miss us this weekend, fear not! Come this Spring (our 18th year in Phoenicia) we’ll be open every weekend (and most holidays) starting sometime in April; five days a week all summer; then Fall weekends. (Late Spring/early Fall = some Mondays as well). Which means (CUE SECOND BIG ANNOUNCEMENT) we’re looking for someone enthusiastic, absolutely reliable and with great communication skills for a shop position that also includes managerial responsibilities, starting in April. If you know of the perfect person for this part-time but consistent gig (experienced, stellar work ethic, friendly, creative, trustworthy, organized, and vintage-loving; post-college age or older please), they may email us (no calls) with a resume/cover letter. Preferably someone who’s been here and understands what we’re about. Serious inquiries only. 20% off EVERYTHING Hibernation Sale! Our last Weekend until Spring! * + we’re HIRING for 2019! Laura Levine. Lou Reed and John Cale, NYC, 1989, silver gelatin print (left). Typical Mystery Spot album offering (right). This is it, Mysterious Girls and Boys! Shop now, or forever hold your peace until the daffodils bloom. This Thanksgiving weekend (Nov. 24/25) will be our final weekend of the season before we temporarily close our doors for a well-deserved winter hibernation. The good news? Everything in the shop in all seven rooms – even our prints and paintings! – will be on sale in-store only for 20% off during our pre-Hibernation Sale. EVERYTHING is 20% off! This includes our paintings, limited edition Songbirds of the Catskills prints and proprietress Laura Levine’s archival fine art pigment prints of her 1980s music photographs (as seen at MoMA and in the permanent collection of the Smithsonian’s National Portrait Gallery) – Bjork, The Clash, Madonna, R.E.M., and Tina Weymouth and Grandmaster Flash. Not to mention our seven rooms packed with vintage breakables, vinyl, old books, vintage clothing, antiques, oddities, Rusticalia, and much more. What about those Mystery Spot t-shirts and tote bags, you ask? Also 20% off! If you’ve had your eye on something previously spotted at The Spot, now would be the time to pounce, be it a treat for yourself or a gift for someone deserving. And yes, it’s also Small Business Saturday! Throughout the winter we plan to restock The Spot with tons of estate-fresh finds and hope to open for one mystery pop-up weekend per month. (Weather and mood permitting). For example. Presidents’ Day Weekend, et. al. Even though we’ll be hibernating for most of the winter*, we encourage you to support your neighbors who run local small businesses during this holiday season and all year ’round, be it The Spot or any of the other amazing businesses up here in Phoenicia and the Catskills. As we head into our 18th season, we thank you for your loyal support and fun company this year and every year in Phoenicia. —> BONUS ANNOUNCEMENT: we’re hiring! We’re looking for someone very special to run The Mystery Spot who “gets” us and loves what we’re about. Spring/Summer/Fall: hold down the fort on weekends/some Mondays starting in the spring; hopefully the same person (or not) to cover five days a week (Th – Mon) in the summer. Continue into fall weekends, etc. Prefer someone who’s got excellent shopkeeping and managerial skills as well as sales chops and might be in it for the long haul. Perfect gig for a creative freelancer type who has a flexible schedule. Winter (aka now): we’re looking for someone with up-to-date vintage expertise and enthusiasm to help us prep and price incoming estate pieces (mostly clothing but may also reflect the range of our offerings); a few days a month. Very flexible schedule. OK with cats. (To clarify, we’re not hiring cats, but you’d be working around cats. Only two.). Both positions require EXPERIENCE, RELIABILITY and EXCELLENT COMMUNICATION SKILLS – vintage knowledge, friendliness and enthusiasm, peak organizational skills, and a serious work ethic. Additional requirements for the shop include retail/in-person customer service experience, great people skills, a sense of humor, creativity and being able to work independently. Mobile device required. Post-college age or older. (Preferably someone who’s been here and understands what we’re about). Compensation commensurate with experience. Please email (don’t call) with a resume and/or relevant work/educational information. Good clear communication skills with both us and our clientele is a must. *we hope to open one holiday weekend a month over the winter, perhaps around Christmas, Presidents’ Day Weekend, etc. Please check our social media to confirm. Images above: we’ve been unearthing some of our special albums (aka vinyl) lately. This original (uncensored) Velvet Underground and Nico has already sold, but may give you an idea of our taste as far as our dedicated Record Room. The portrait of Lou Reed and John Cale was taken by our proprietress, Laura Levine, in 1989, a few months before Songs for Drella was released. It’s currently on exhibit at the Velvet Underground Experience in NYC through the end of December. And yes, we sell Laura’s work both in the shop or it can be shipped. Some of her archival pigment ink prints can be seen here: www.illogator.com/lauralevine (PLEASE NOTE THAT THE 20% OFF SALE ONLY APPLIES TO IN-STORE PURCHASES). Summer Hours in Phoenicia – (sort of)…. Our expanded summer hours start TODAY! are coming soon! Due to a last-minute staffing issue, for the moment we’re only open on Saturdays, Sundays and Mondays. We also plan to be open this Wednesday July 4th!). Pretty soon we’ll be open five days a week. Not just yet though. Hopefully very very soon. Our Projected 2018 Summer Hours – not just yet however…. We plan to fill our seven rooms with TONS of fresh vintage estate items all summer long: antiques, vinyl, vintage clothing, old books, midcentury modern, lighting, kitchenware, oddities and Rusticalia™….the list goes on and on. Every item is hand-picked by proprietress Laura Levine. We’ve been hunting and gathering mind-blowing vintage treasures all winter long, and they will make their debuts throughout the summer (our 17th season). We promise fresh vintage goodness every week, living up to our motto “Clutter My World.”. Plus, we’re air-conditioned! Hope to see you soon! + we’ll be OPEN on Wednesday July 4th, 11 – 5! —> AND… probably later on weekends and holidays, or as the mood strikes…. Extended Hours Memorial Day Weekend! We’ll be open extra hours for Memorial Day Weekend so you can get your vintage on! Tons of estate-fresh vintage/vinyl and more coming in every day! 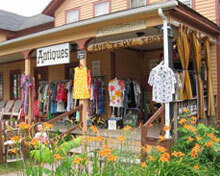 Mystery Spot Antiques is Now Open for Our 17th Season in Phoenicia! Look no further! 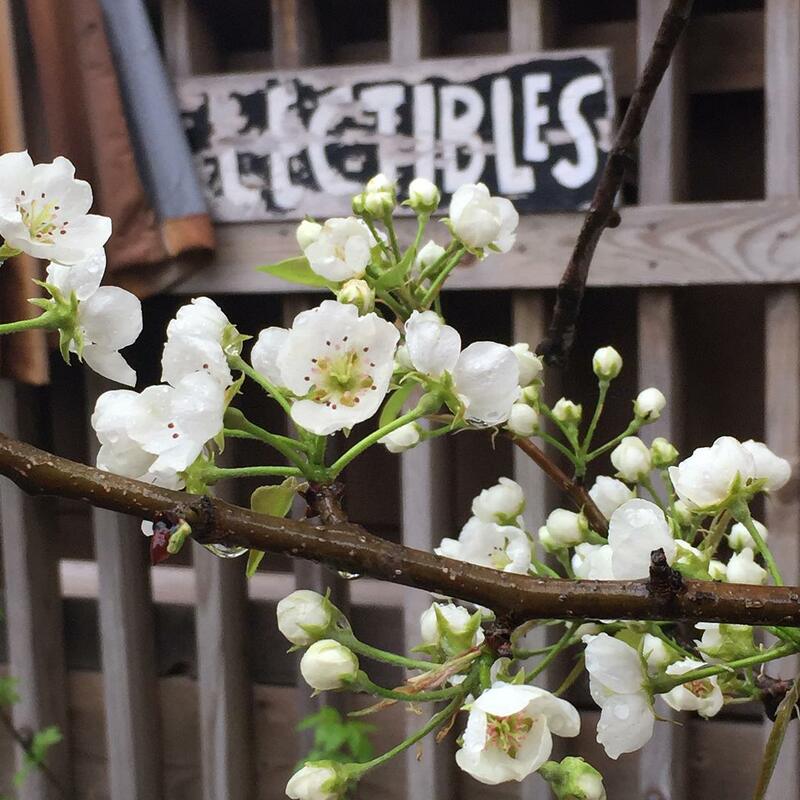 If the historic pear tree alongside The Spot is in full blossom, spring has officially arrived in Phoenicia. 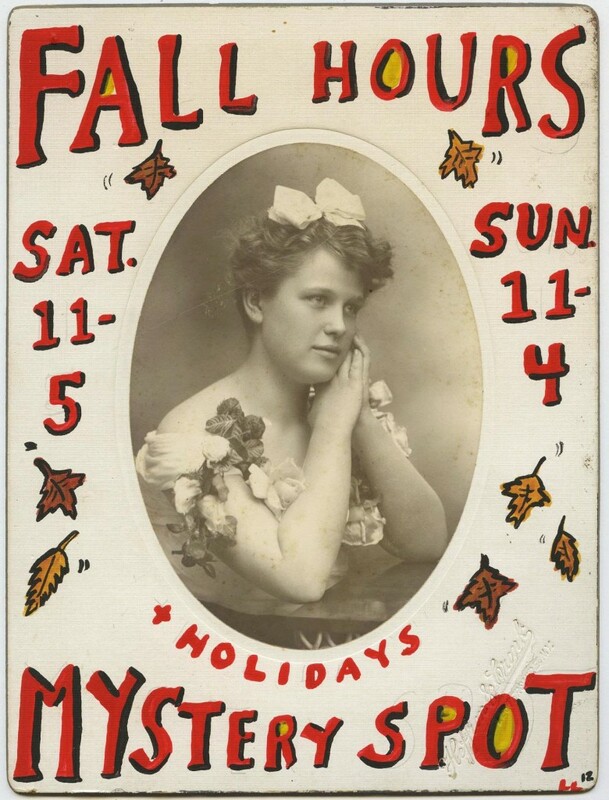 Mystery Spot Antiques is now open for the season; and not just any season – it’s our seventeenth year here on Main Street in the mysterious magical hamlet of Phoenicia in the heart of the Catskills. We plan to be open weekends/holidays only until school lets out; after that, we’ll be open five days a week all summer long. Even though our “official” opening is generally Memorial Day Weekend, if you’re one of our devoted followers who reads these things, consider these next few weekends your sneak previews/first dibs for those in the know. This has been an especially fruitful winter in that we purchased tons (literally) from several loaded estates, ranging from a houseful of untouched vintage clothing to some of the contents of Joe Franklin’s legendary office (!). We’ve been cleaning and sorting all winter long, and now we’re ready to share our wares in our seven rooms. We have SO MUCH to bring in, and we will, every week….stacks of vinyl records, racks of vintage clothing, antiques, oddball books, mid-century kitchenware, Rusticalia, oddities…the usual unpredictable pieces that catch our eye. Does the thought of owning a professionally framed vintage photograph of Joe Franklin chatting with one of his legendary* guests on the set – from his personal collection, carefully extracted from his historic office** – intrigue you? How about three dozen of them? (Prices still TBD and not yet at The Spot). Provenance, baby! What about about dozens of vintage Hawaiian shirts? Or an array of elegant 1950s/60s metallic silver or gold cocktail purses for $20. each? Hope to see you this weekend or another weekend real soon! (Then we hibernate some more until spring). If it’s Presidents’ Day Weekend, that means Mystery Spot Antiques in beautiful Phoenicia, NY in the heart of the Catskill Mountains will open its doors for the weekend. We’ve been super busy this winter buying carloads of estate items, sorting, cleaning and bringing them in. Because we’ve been hibernating, no one has seen them yet! THIS IS THE WEEKEND. Vintage clothing (winter coats, 60’s leather jackets, wool plaid skirts and trousers, cocktail dresses, vintage t-shirts, fedoras, and denim), vintage purses, vinyl records, antiques, Rusticalia, old books, ephemera, vintage kitchenware…seven rooms packed to the rafters. Each and every item is individually selected by us, in compliance with our rigorous set of aesthetic standards. And there will be more coming in every day this holiday weekend! If you miss us this weekend, fear not! This spring (our 17th season in Phoenicia) we’ll soon be open every weekend (and most holidays) starting sometime in April, then five days a week all summer, then fall weekends, maybe with some Mondays thrown in, etc. Which means (CUE BIG ANNOUNCEMENT) we’re looking for someone very special and super reliable to join the Mystery Spot team. We’re interviewing candidates for a very responsible shop position that starts in April. If you know of the perfect person for this part-time but consistent gig (reliable, experienced, friendly, creative, trustworthy, organized, and vintage-loving; post-college age or older please), they may email us with a resume and/or some relevant info about themselves. Preferably someone who’s been here and understands what we’re about. Serious inquiries only. *(If the weather looks iffy, please send us an email or call to confirm we’re open). Vintage 20% Hibernation Sale + final weekend until spring + more! Yup, it’s all headed to The Spot (eventually). This is it! The Big One! 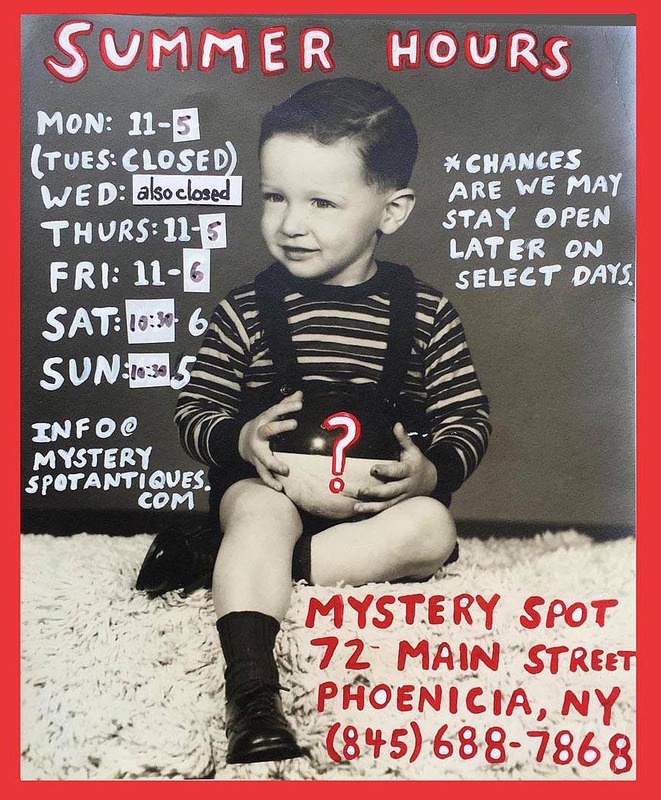 Mystery Spot Antiques in Phoenicia is having an end-of-season 20% off vintage/vinyl/everything sale this weekend (all 7 rooms!) before hibernating for the winter. Check our FB/IG over the winter for occasional pop-up holiday weekends until we return in the spring for our 17th year in the Catskills. Thank you for another wonderful season, for supporting us and our fellow local businesses, and for being so friendly, cool and interesting! P.S. : we’re hiring – see attached. P.P.S. the vintage clothing in this photo is not yet at the shop, but some of our favorites are! The Mystery Spot’s new Fall Hours start this weekend. The leaves are still luscious, verdant and green, but soon enough they shall be peaking….! Come on up to Phoenica for the last taste of summer, or a leaf-peeping antiquing thrifting crate-digging vintage-shopping weekend in the Catskills! We plan to then take a winter break, though we’ll open our doors now and then for the occasional pop-up how-dee-do! (Join our mailing list if you want to be in the loop). Summer Hours – Open Five Days a Week in Phoenicia! Our expanded summer hours start TODAY! We’ll be open every day except Tues/Wed (though we’ll be open this July 4th) through Labor Day right here on Main Street in Phoenicia, NY. Just look for the giant statue of Davy Crockett and you’ve found us: The Catskills’ Vintage Odditorium! 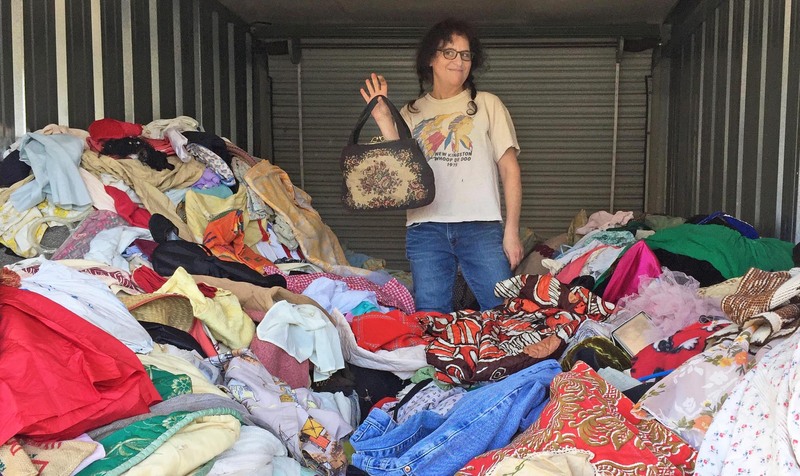 Every item is hand-picked by proprietress Laura Levine. We’ve been hunting and gathering mind-blowing vintage treasures all winter long, and they will make their debuts throughout the summer (our 16th season). We promise fresh vintage goodness every week, living up to our motto “Clutter My World.”. Plus, we’re air-conditioned! Hope to see you soon! Presidents’ Weekend Vintage Sale! Everything 20% off! Yup, it’s time for The Mystery Spot’s big ol’ 20% sale this Presidents’ Day Weekend! Everything is on sale all triple-weekend long. Men’s, women’s and children’s vintage clothing, 1000’s of vinyl records, antiques, rusticalia, old books, mid-century lighting, vintage kitchenware, coats, dresses, vintage work shirts, suits….everything in our seven rooms and porch! 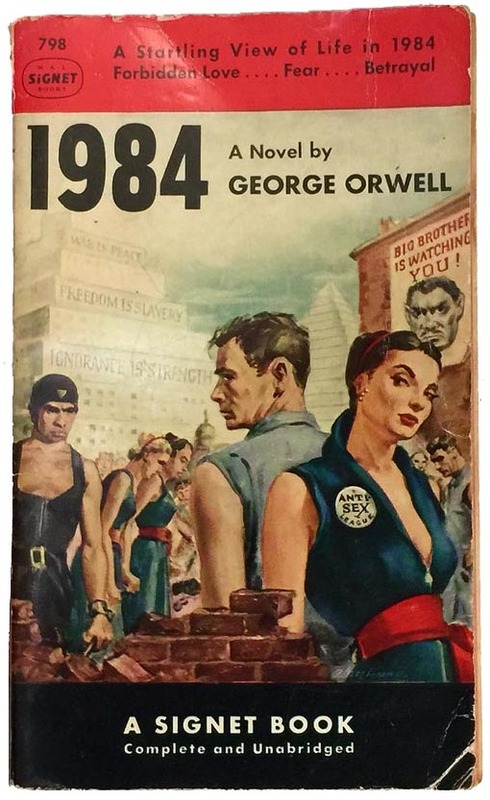 (Remember that print or painting you’ve had your eye on all these years? Yup! That too!). They say the temps will hit the fifties this weekend up here in Phoenicia, NY. A perfect excuse to take a thrifting/junking/vintage/antiquing road trip to the beautiful Catskills this holiday weekend! If you miss us this weekend, fear not, as we are open every weekend (and most holidays) all winter/spring long, as we enter our sixteenth year in business here in Phoenicia. (If the weather looks iffy, please send us an email or call to confirm we’re open).